Ever lose a car key, or have one go bad after a few years? You probably dreaded asking the dealer for a new one, worried about the cost, with some keys and fobs costing $300 or more. But you now have some cheaper options. Ron Sparer needed a duplicate key for his 2003 Toyota. The Butler County, Ohio, man knew the dealer would charge well over $100, so he ordered an inexpensive blank online. But then, he says, "I couldn't get the key cut." Sparer says three hardware stores and big box stores all refused to even try to duplicate his key. "All three told me the same thing," he said. "They won't cut a key, and said I have to go to the dealer." Some implied it was a security issue, to prevent thieves from making copies, while others wouldn't do it because today's keys are "smart keys" with a unique code. And they told him they would not be able to match the code of the RF chip molded into the plastic in the end of the key. Indeed, most car keys sold since 2001 now having a computer chip inside, leaving hardware stores struggling to make duplicates that work. It typically requires a trip to a dealer for a pricey new key fob, and an even pricier programming service. That is until now, thanks to some new high tech programs, like Duracell Renewal. Ace Hardware's John Doucleff said a growing number of Ace Hardware stores have joined the Duracell program, and said at his Hyde Park Plaza store, "we are able to do between 95 and 98 percent of the keys on the road now." Not only can they find you the exact fob for your car, they can cut the key blank, then program the whole thing to work. The whole process takes about 20 minutes, he said, and is about half the cost of many dealerships. And unlike a store with just a key cutter, "we are actually able to marry the key, reprogram the key and reprogram it to the dashboard." The program won't work with some high tech European cars like Mercedes and Volvo, or many newer post-2014 cars with no keys at all. Sparer, who had not yet heard about the Duracell program, finally cut the key blank himself, then learned from a YouTube video how to synch the remote. "You do different things like press the brake pedal five times and the accelerator once, and you have a key that's set to go." It finally worked for him. Need a key? Call an Ace hardware near you: Not all Ace stores have this program, so call ahead. 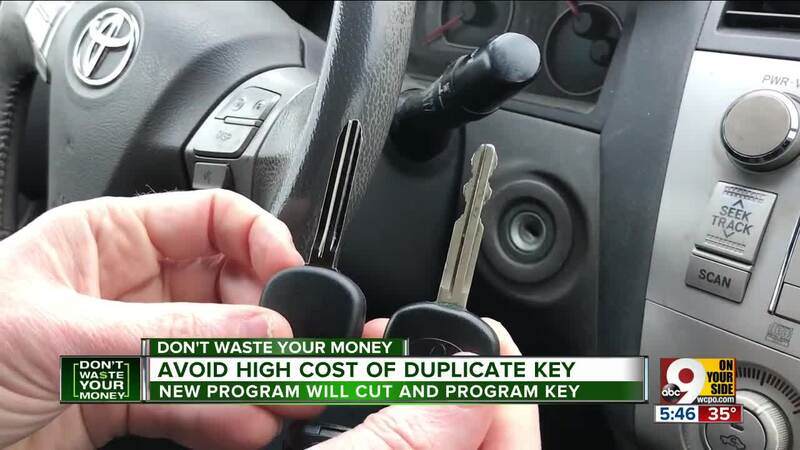 Or try an online company like Keyless Ride, which sells discount key fobs for hundreds of cars, and the instructions to program them, so you don't waste your money.